Villa Maria is New Zealand’s most awarded and internationally recognised winery. Though today it is an amazing international success story embodying the can do and savvy attitude of ordinary kiwis, the winery actually started in humble beginnings, in the back of the family farm on an acre of land in Mangere, Auckland. Behind all the glitz and glamour is the founder of Villa Maria, Sir George Fistonich, who recently celebrated the 50th anniversary of the winery. Through George’s dedication and hard work, Villa Maria has grown to become one of the finest wineries in the world, employing 250 staff with operations in the Auckland, Hawke’s Bay and Marlborough regions. In particular, the wineries in Auckland and Marlborough utilise state of the art facilities to produce premium quality wines for export to over fifty (50) countries. In 2001 Villa Maria made headlines around the world by declaring the business a “cork free zone”. A radical and surprising move in an industry that tends to avoid change and stick to tradition. And yet, presently you’ll find screw cap wine bottles from New York to Paris. 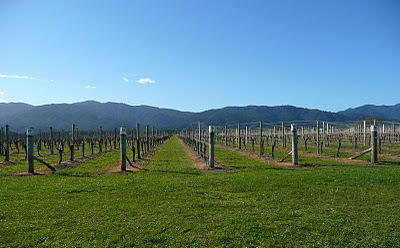 Villa Maria was also the first winery in New Zealand to employ viticulturist. These are just some of the tiny examples of how Villa Maria made a global impact and became known as an industry game changer. Presently Villa Maria has a four tiered wine range; the Villa Maria Reserve, Single Vineyard, Cellar Selection and Private Bin. 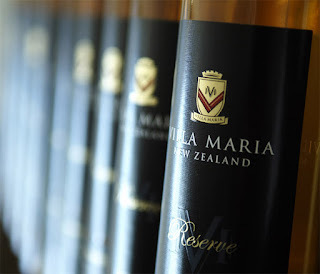 Common with other Kiwi wineries, Villa Maria focusses primarily on producing the Sauvignon Blanc, Chardonnay, Pinot Noir, Riesling and Bordeaux (i.e. Merlot) varieties. Though, like many other wineries with vineyards in the Marlborough region, Villa Maria is particularly famous for its Sauvignon Blanc. New Zealand has been continually applauded for the quality and taste of its Sauvignon Blanc, particularly those sourced from the famous Marlborough vineyards. So, if you’re up for a tipple, try Villa Maria extensive range of wines. You’ll find a them at Shop New Zealand, we ship the finest New Zealand wines to the world*.